Selecting cloth may be the hardest part of the bespoke (or made-to-measure) process. You pick the style of a suit every time you buy one off the rack, but you’re unlikely to have ever looked at a tiny square of cloth and tried to imagine what it would look like on you, head-to-toe. How formal does it have to be? Will the suit or jacket be worn just for the office? For a special event? Or for a mix? What is appropriate in those settings in terms of material, colour and pattern? Will you wear it all year round, or just for particular times of the year? When you do, will you ever really be outside for long, or just in air conditioning? What else will it be worn with? Consider whether you are likely to wear the finished piece with a shirt and tie, or sweater and jeans. Or even both. Once you have these ideas straight in your head, the challenge is communicating your desires to the tailor or salesperson, so they can guide you through the cloth options. One easy way to aid communication is to wear something similar or bring in a picture of what you want. This may seem silly, but visual demonstration is a lot easier than verbal. The tailor may instantly realise that you want a tweed with a harder, smooth finish, like a Saxony; rather than a heavy, woolly Harris tweed. But chances are you would have struggled to put that into words. Speaking of language, it’s worth being aware that there are four main stages in the making of cloth that affect how it looks and wears. The tailor may use points of each to explain the options. Often, these four stages are the ones a tailor or salesperson will focus on. But arguably the important thing is the effects these have on the cloth. And when you’re comparing a whole range of different navy jacketings, for example, it is these effects you need to consider. Hardness. The suit you wear to work (a worsted wool) has a harder finish than the soft, woollen cashmere you might wear as a jacket. This hard finish makes the cloth sleeker and smoother. Crispness or dryness. Cloth that is crisper is sharp, creating a longer-lasting crease in a trouser. The surface also tends to feel drier. Linen often feels drier than a worsted wool used for suiting. Nap. The hairiness – the length of the visible fibres on the cloth. In practice closely related to the hardness/softness. Weight. An easy one to focus on. Most cloths will state their weight in grams and/or ounces. Remember that heavier cloths will tend to drape and wear better. Breathability. A cloth with a more open weave will tend to allow more air through, so it wears cooler. Wrinkle-resistance. A high-twist cloth tends to feel stiffer and won’t wrinkle as easily. Often recommended for travel. If you go into a tailor with merely the idea that you want a sharp suit, you will likely first be asked some of the questions at top – as to when and where you will use it. So consider them in advance. Then you may be presented with different options, with the explanation that one is softer, lighter or more breathable than another. It’s worth understanding the ‘effects’ listed above to anticipate these. Once you have those options in front of you, what do you do? Is it like tasting a wine in a restaurant – are you expected just to nod and smile? Try to do more than that. Here are some recommendations, gathered from my own experience and the tips of Savile Row’s top salesmen and tailors. Narrow down your choices fairly quickly, if you can. Try to get to a point where you have 4-5 options laid out alongside each other. Perhaps different shades, or slightly different patterns. Feel each suggested cloth between your fingers. Get a sense of how smooth, soft or crisp it is. Although you don’t wear cloth against your skin, you do feel it with your hands, and feel how it moves with your body. Make sure you consider which side of the cloth is intended to go on the outside. They are not always the same. Usually the reverse side will have the label on it showing the code and weight. Consider the different colours carefully. Take them to a window or outside to get a sense of them in natural light. Compare them to each other. Often you don’t realise the colour of a navy until you compare it to black. Perhaps also put them against different colours of shirt – white or blue – to see how they change. If there is a pattern, try to visualise it repeating outwards. This is often one of the hardest things to do, particularly with large designs. In general, subtle patterns like herringbones and Prince-of-Wales checks will become more subtle when worn head to toe. They just become texture. But big, bold patterns and colours can become stronger. Some tailors will have bolts of fabric available that you can get down and drape across yourself. This is worth doing. Even if you don’t want that particular one, it can be useful to get an idea of how a shade, or a pattern, will look full-length. Don’t feel you have to make a decision right away. Often the tailor can give you a small section of the cloth, to compare to things at home, or request one from the cloth merchant. This should always be big enough to see the full repeat of a pattern. There are often enough things to consider on a first trip to the tailor, without having to be final on cloth as well. The cut of your suit is the most important thing to how it looks and feels. But I find I wear suits far more when I love the cloth; it’s more important than we’d like to admit. Spend time over it. As with everywhere else on Permanent Style, we would encourage comments on these posts. It creates, over time, a body of knowledge and experience that I know readers return to time and again. Let us know your experiences and your advice. You can follow the discussion on The basics of selecting cloth by entering your email address in the box below. You will then receive an email every time a new comment is added. These will also contain a link to a page where you can stop the alerts, and remove all of your related data from the site. Hi Simon, I always find it useful to look at some of the ‘works in progress’ when I visit my tailor (he has very few ‘display’ garments). Not only does this give me a sense of the weight of the items in various cloths, but also how different cloths will look and drape when finished. I have learned a lot about which cloths to use and which to avoid by doing this. A very exciting series Simon! Thank you. Is it fair to say that a fabric sample will often appear very slightly darker than a full suit in the same fabric? Thank you for this useful insight. Personally I have to admit to only having a general idea when I choose cloth, then looking through the various books for inspiration. This might be too amateurish, but I also do not care for the extreme opposite of online fora discussing obscure mills in depth, even though it is extremely interesting. Two points that I would like to add is first that it is important to have a precise idea of the style one is looking for, e.g. I have been looking for “tweedy” fabrics for a long time, then obviously exploring the iterations you already mention. Second, texture is key but also very difficult to grasp. For example as much the Breanish Tweed run you did, as a Scabal cashmere/wool jacket I had made, have a very slight herringbone texture that is not immediately noticeable but does add a very nice texture. This post is an excellent starting point indeed. It happens that you once gave me a very good piece of advice worth mentionning here too, since it is related to how to choose fabrics when one is beginning to build up a sound and smart wardrobe. Say, one is considering having a good blazer made. At such a level, it really doesn’t make sense to set one sight on super numbers or delicate fabrics. Under such circumstances which fabrics are worth being perused could be a challenge even if a taylor might be very helpful. Back then, I went for hopsack! I think this is a great post and I agree with you that while fit might be the most important part of a bespoke garment, selecting the fabric is the most personal and can be the most fun. I tend to find myself wanting to wear the different patterns and fabrics that visually appeal to me. In selecting between a couple of fabrics I tend to really focus on the tiny details of the fabric and examine it real close (<12in away). But I know that I will never be looking at the fabric pattern this closely when I am wearing a garment and more importantly other people will not notice all of those little subtleties from a regular talking distance. Do you have any advice or suggestions on the appropriate distance to judge a fabric? I think this is a great step for people who really don’t know where to start, but even with a modicum of clarity, going to a tailor and saying “I want a medium weight cloth in dark blue which doesn’t crease much to wear for work” is going to yield the right result. Out will come books from Dugdale, Smith, Lesser etc which will allow comparisons to be made. None of the great cloths made in UK mills is ever going to disappoint. The more you compare and contrast, the harder it will get, and the more you will eventually doubt if you have actually made the right choice. I am a new subscriber to your blog as I have recently started my sartorial journey. I understand this is only your first entry to this particular series, but it has already impacted the way I view shopping. The timing is perfect as I have been visiting a few tailors here in Toronto for my first sportcoat commission. I am very much excited for the next coming entries. Keep up the great work! What a jacket is for is an important question, but it will of course give very different answers. E.g. T. Everest always proposed Scabal while Chittleborough & Morghan seemed to be into sturdy Dugdale or fine Loro Piano. Every tailor and house have their favourites and fixed ideas about what the ideal fabric for a certain project should be. I find some fabrics are not durable. Particularly the Loro Piana high Supers. They wear out between the legs and quickly. I have fat thighs. 1. Is there a workaround like fusing the fabric on the inside or adding an extra layer (for darker fabrics) to address this? 2. Failing that, how does one identify less delicate fabrics that won’t wear out from the friction of constant rubbing. What are the factors that make a cloth more or less likely to wear from friction? The one thing I have found useful over recent years is buying the cloth and taking the bold home for a few weeks or months before proceeding with the commission. I decided to do this after what seemed to be a particularly nice tweed pattern in a swatch turned into an unwearable clown outfit when presented as the finished jacket. It’s probably not as necessary with a plain fabric, but I would have saved the cost of that jacket. And of course you can always sell the fabric bolt on if you decide against it. Finally, it’s worth looking at the fabric at the right time of day. Don’t pick a dinner jacket fabric in a bright naturally-lit room, or a tweed in an artificially lit dingy windowless room. Very useful Simon, I slowly feel I am getting better at commissioning, but the emphasis is on slowly! I might know 75% if I really thought about everything, but it is amazingly helpful to see it written down in a simple structured way like this. One of the things which has always confused me is the difference in cost of cloths at different tailors. Some seem to have very little difference in price between the cloths (I assume just difference in cost), while some others seem to up sell the premium cloths (Loro Piana etc) with massive markups. I now have a bit of a feel as to which tailor I would go to for cashmere jacket (one with less markup!) vs a suit in simpler cloth (my absolute favourite). Given the pretty opaque world of bespoke prices at the best of times this makes it even more complicated. Yes, that can be an issue. Unfortunately it’s just up to the tailor whether they want to pass the higher cost of the cloth on, or even add there own margin on top of it. A most interesting article my compliments. Hi Simon, I picked up some rather beautiful melange tweed from a weaver in Donegal recently – a green/blue and a blue/grey. The green/blue is bolder than the blue/grey. My plan is to get the blue/grey turned into a casual jacket and perhaps go for a coat in the green/blue. For the green/blue I guess an Ulster would be relatively safe choice but I quite fancy a Polo in a non-traditional colour/fabric combination. What do you think? Any musings and advice much appreciated. Sounds nice Hugh, though hard to give much comment without seeing them. Excellent article! I think that one of your tips that is an absolute “must” to follow is to take the fabric outside or to a window, and look at it in natural light. This is especially important if you live in a sunnier climate like I do (Los Angeles). A fabric will look substantially different in LA than it does in the duller sunlight of a city like London. When trying to get a feel for what a pattern will look like, you might want to check out Holland & Sherry’s new website. It has a feature that helps you see what a pattern will look like on a jacket. Even if you are not buying a H&S fabric, they give you information like the width of a herringbone pattern, or the dimensions of an over check pattern, that will help you judge comparable fabrics. I found this article to be the most appropriate place for my enquiry – having trawled through Styleforum, it seems that most, more often than not, purchase their own cloth and bring it to their tailors to commission. I believe the SF acronym for this would be “CMT”. Is this usually the case for you too, and is there a substantial saving in taking the effort to source for your own cloths and bring it to one’s tailor? Thanks Simon. Just started to read this particular post. I like the way you convey the basics in a very simple manner for all to be able to understand. Simon, I really like how you’ve addressed the emotional aspect to selecting cloth. With a relatively small wardrobe I am keen to acquire a classic grey flannel suit. The issue is whether to go with the heart and opt for woollen, or think about longevity and settle for worsted flannel. Either way, I’d be looking at extra trousers and cloth on the heavier side. Any thoughts? 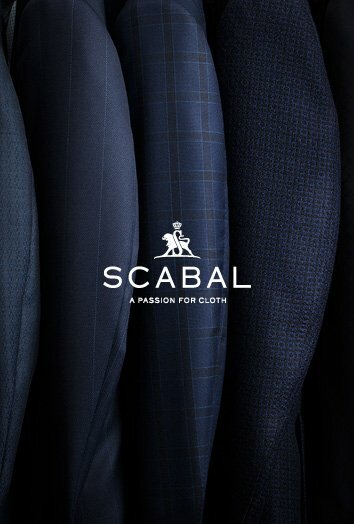 Simon, I suppose Scabal make fabrics for their own suits, but who actually makes the suits? Caruso? I heard some are made in Germany. Any idea? Hi Andy. There aren’t many, but Fox Brothers is certainly a good place to start. I am seeing that Lumbs Golden Bale suiting fabrics are popular. I don’t think I’ve read any of your coverage on the bunch – what are your thoughts on the fabric range? It’s very nice Bernie, I used an overcoating version for my Sexton coat. If we were looking at most importantly value for the first two suits – navy & charcoal, would you go for Lumbs Golden Bale? Or would you go with Harrisons, Holland & Sherry, VBC, or some other fabric? I know from reading your “Clothes That I Have Known” for H&S that you do like their worsted 11oz suiting fabric. If you were looking for value, then no I wouldn’t go with Lumbs Golden Bale. I would go with a straightforward 11oz or 13oz suiting fabric from an English mill. And don’t worry too much about what bunch it comes from – there isn’t much difference between them for that kind of cloth.